I have been accused by many of being overly obsessed with taking photos in photobooths, having amassed hundreds of strips, taken over a period of 40 years. Some have said my dogged desire to track down and buy books about photobooths, photobooth artists and the history of photobooths is a strange compulsion. However my passion looks more like a passing fancy when one reads of the intense and personal relationship Meags Fitzgerald has with the subject in her newly released, first book Photobooth – A Biography. In this non-fiction graphic work, Fitzgerald weaves the story of her developing and ultimately all-consuming love for all things related to photobooths, with the history of the invention of the modern chemical machine, its rise in popular use, popular culture, art, and business. The demise, and possible extinction of the once endemic machines is also documented in a staggeringly personal and emotional roller coaster of a story told through illustrations laid out in blend of bande dessinée, manga and modern graphic novel styles. Her personal journey is expertly woven into and becomes part of the story of Siberian immigrant to the USA, Anatol Josepho’s efforts to invent an automated photography machine, his success, the spread and development of his idea and the fate of the machines. While it is a formal examination of the subject, personal observations and anecdotes written in the style of a travel journal, (for she travelled extensively to do the research for the book) make the work far more interesting than a standard history of any subject could be. Meags (pronounced “Megs”) has produced richly detailed drawings that highlight her skill as a designer and artist. There is a theatricality in the illustrations, layout and design of the book that shows an influence from her love of improvisation theatre. Her background in performance theatre is also seen in her photobooth stop-motion films in which she performs. 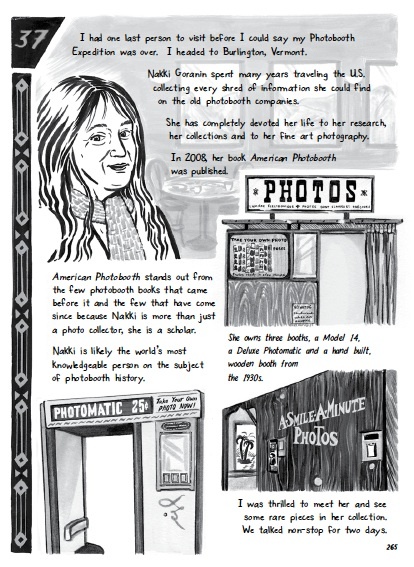 She includes interviews with artists, small business owners, technicians, enthusiasts, authors and promoters of all things photobooth, who also have a dedication to using and preserving the machines that use the “dip and dunk” chemical technology. She also documents the many different types of photobooth machines that have existed and their different types of output and looks at the technical side of owning and maintaining a chemical booth. She communicates a gentle and self-effacing humour about her obsession with photobooths yet, at times, there is a level of despair at the inevitable fate of the machines. The book concludes with a grudging acceptance that she is unable to stem the tide of change, but also with hope that the passion we in the photobooth community have for our subject, will see a different life develop for the machines in the future. 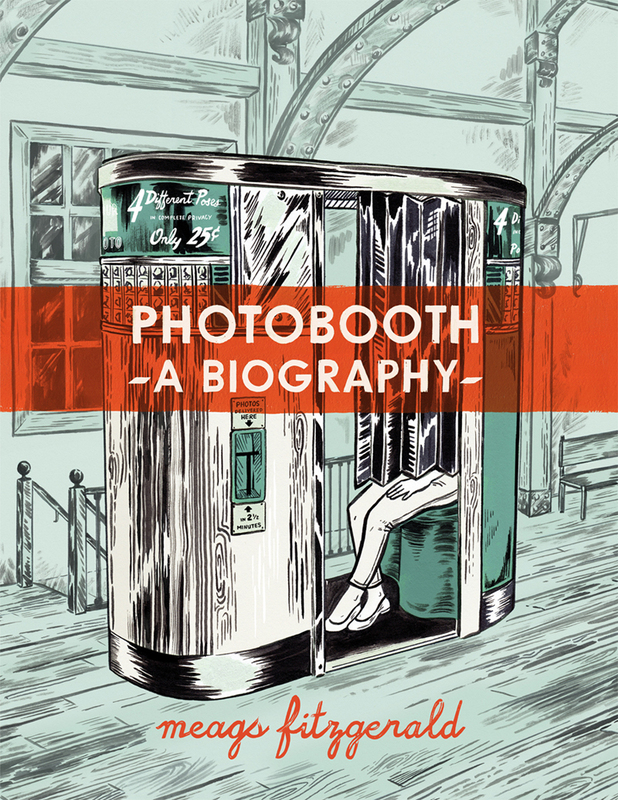 Photobooth – A Biography was published by Conundrum Press, Canada and is available in bookshops worldwide and from online booksellers. 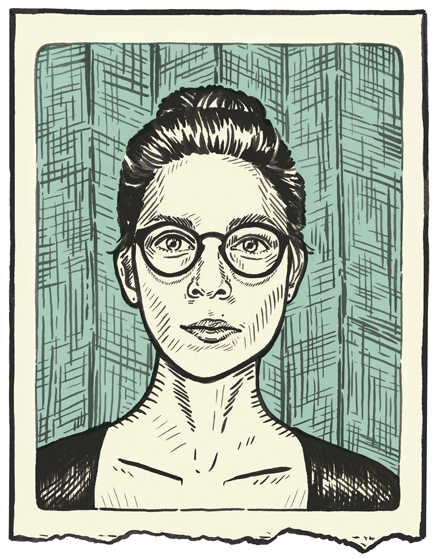 Here are some links to more posts about Meags Fitzgerald on Photobooth Journal. I think it’s wonderful that you pursue your passion. Your posts are always interesting! Thanks so much John! Thanks for reading. When you first mentioned this book in a previous post, I immediately wrote it down on “books to buy” list. Now I really want a copy after reading your review – such a clever nonfiction account of a piece of photographic history! excited to read. Lisa that is so cool! 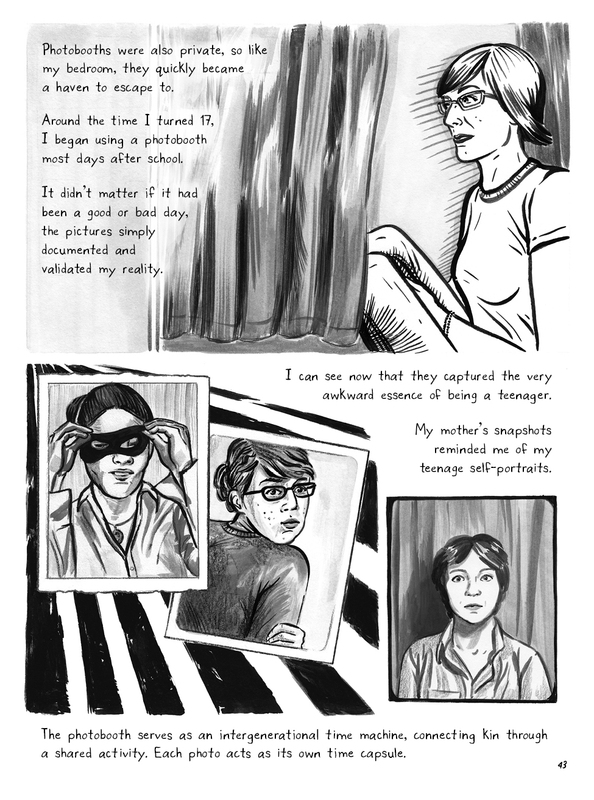 I think anyone who loves photography would enjoy it but also fans of graphic novels. it does look like a really fascinating book. It is, especially if you like to travel and collect photos (of any type). Hi Brett. I was pretty chuffed about it too. Thanks for visiting!